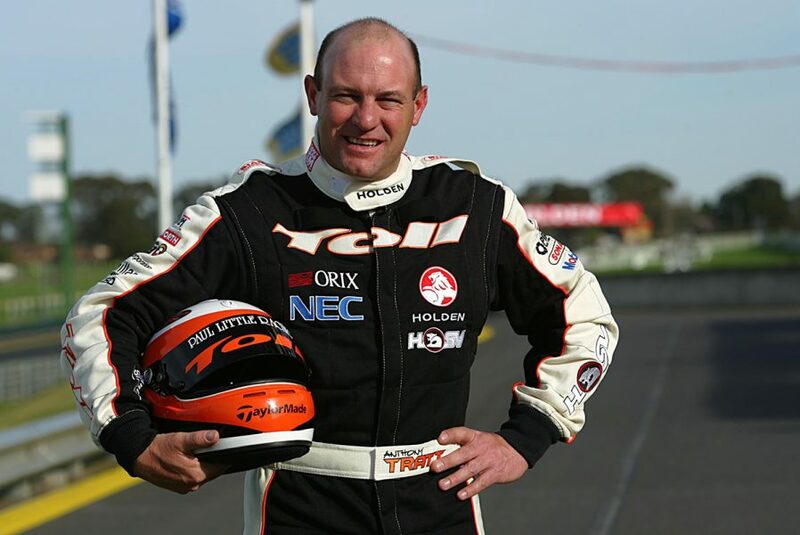 Anthony Tratt did his early racing in motocross, but after spending his school years with Glenn Seton and hanging out at kart tracks with the Seton family, Tratt found himself on four wheels. 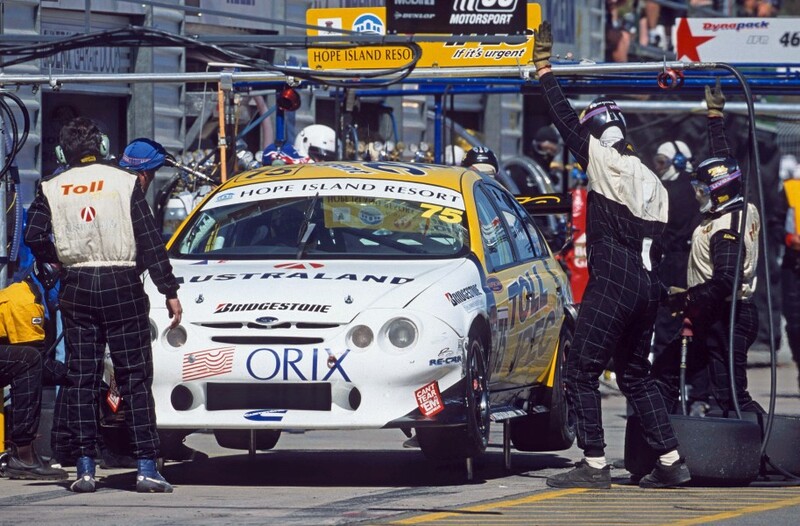 Starting out in Porsches, Tratt and his racing partner – Paul Little of Toll Express fame – soon moved to the bold world of Supercars, becoming one of the perennial privateer stalwarts of the late 1990s and early 2000s. These days Tratt has found a lifesaving business niche, but as he says in this week’s Saturday Sleuthing, his racing career is something he looks back on with fond memories. Before we get into the old stuff, what makes up a day in the life of Anthony Tratt today? After retiring from racing, about 12 months later I saw a huge need for bushfire shelters, not just in Australia but also around the world. What prompted it was I saw footage and news coverage of a big fire in California, people were stuck on a ridge and they died. I thought, 'this is ridiculous, people are dying when they don’t need to'. In most cases, a house is not a good option because they aren’t built to a good standard or aren’t built to absorb the heat that a fire produces. So I started designing sub-terrain bushfire shelters that are built half under ground, half above ground. Australia being a bushfire nation, is most of your business local? We sell all over Australia, and at the moment, answering calls from the United States, Portugal, Spain – all over the place. So that keeps me off the streets! I also do a few ride day with friends. We’ll hire a track like Winton and give their prestige cars a bit of a strain around. We drive everything from Lamborghinis to Porsches, Ferraris, all sorts. Do the drive days give you enough of a racing fix? Not really, but once I got out of it, I knew it was time to move on because I’d been doing it for a long time. But there's absolutely no regrets – I got to meet a lot of great people and made lifetime friendships. Once I retired, that was it. I haven’t raced since and I’ve only been to a handful of meetings. When you first left the game, did you miss that feeling of competition? Oh yes. And anyone who says they don’t is kidding themselves. If you are born competitive, it can’t be turned off overnight. It took a while to get it out of my system. Every second weekend you find yourself looking around, thinking what flight you need to take to go to the next event! There are so many elements to being competitive at the top level. I was doing my own training regimes and that became a normal way of life. And you have to be fit to stay competitive. But when it was over, I was quite content and more than happy to move on. That’s right. Glenn and I went to high school together. Glenn was into his karting and I was into motocross. My father was in the Australian Army and wasn’t really a motorsport person, so I used to trundle off to motocross tracks myself and Glenn would do his karting. My father got posted from Sydney to Melbourne, I started a plumbing apprenticeship and not long after, Glenn and Mark moved from the Central Coast down to Melbourne to drive for Nissan. We ended up knocking around together again. I took time away from my plumbing business to help Glenn when they established their own Sierra team, and I guess that is where the bug bit. I thought, 'I wouldn’t mind having a crack at this myself'. It was certainly a different discipline to what I’d been used to. Getting off a motocross bike into a vehicle with four wheels was a night-and-day difference. I built an old HQ Holden to get a feel for what it was like on a racetrack, and we ended up building a Porsche Cup car for one of the old mechanics from Nissan. I helped him build that, and he eventually asked me to race it and we had a great time, won a stack of races in the Australian Porsche Cup, and one of the people that I was competing against was Paul Little. Paul rang me up one day and said that he would like to run a two-car team, so we became the Toll Racing Team. Yes, and that is a friendship that we still have today. He is one of the guys that I do the ride days with. We’re still very close. 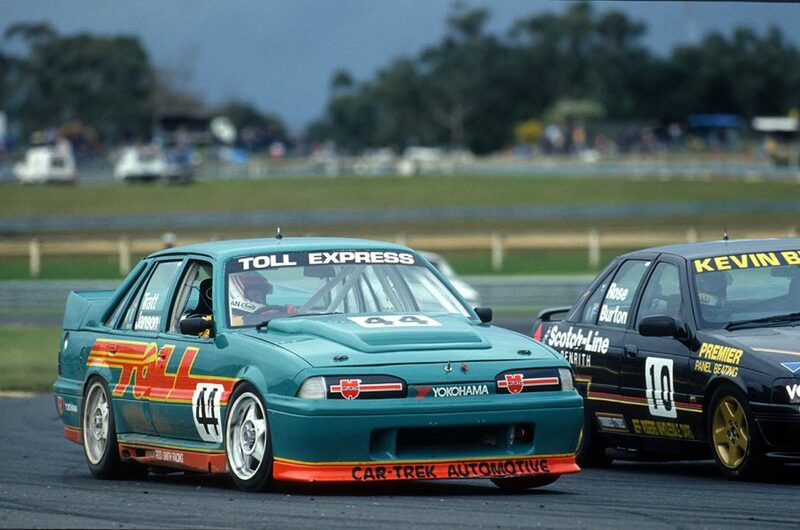 Your first touring car race was in 1993 at the Sandown 500. Talk us through that. 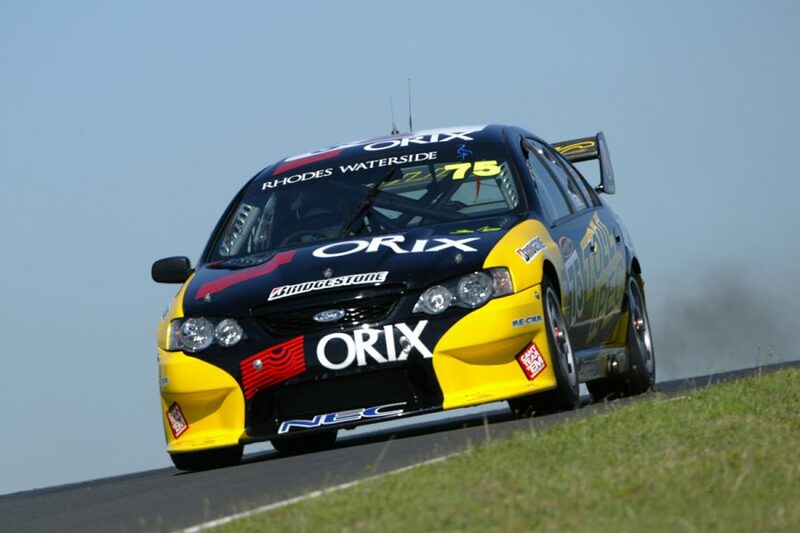 I drove with Peter Janson in an ex-Perkins VL Commodore, and we ended up fifth. 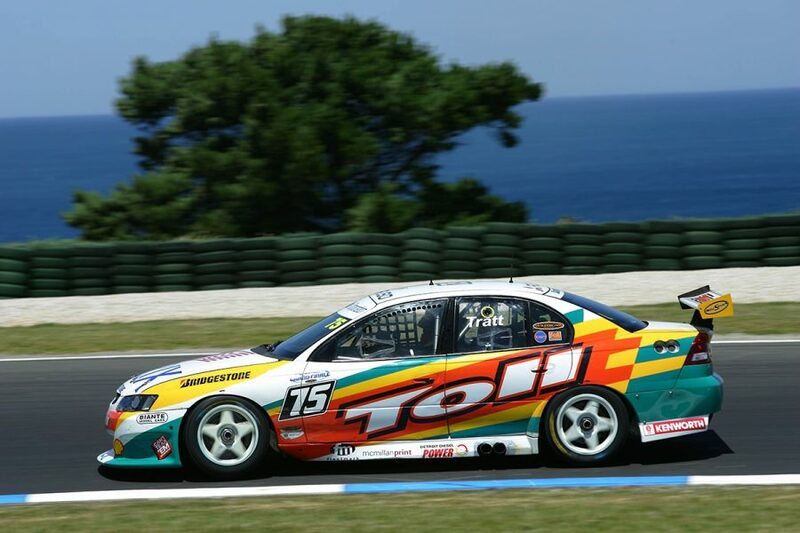 There was a lot of attrition in that race, and it was one of Peter’s last touring car races. You first got serious in Supercars in the late 90s. You ran your own privateer effort, mainly in Falcons, before your final two seasons were in 2004/05 as a fourth car for the Perkins team. What were some of the standout moments for you? The biggest highlight ended up being a bit of a lowlight, but one that I’ll always remember. 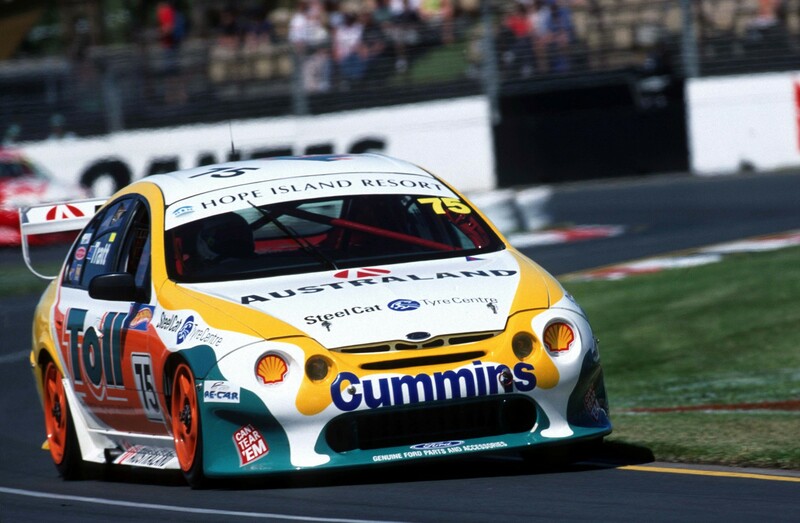 It was Bathurst 2001. We were running inside the top five, and that day, for whatever reason, the car was an absolute jet. Across the top of the Mountain, you could do anything with it. We were running fourth for a long time in the race. I’d just overtaken Larry [Perkins], and lap after lap, the two of us were racing each other, it was fantastic and we were in such a good spot. But out of nowhere, Simon Wills (in a CAT Racing Falcon) decided he was going to try and outbrake everyone [at the Chase] from about 200 metres back! He just missed Larry’s car and unfortunately caught the back of me. He slammed into the back left corner, we ended up in the sand trap, lost a lap and that was the end of that. That was something that I’ll never forget. I’d never been in a car that was so responsive, especially across the top of the Mountain. After the race, the crew had to tie me up in the motorhome. I was absolutely livid when I got out of the car. I saw John Bowe (Wills’ team-mate) afterwards and he wasn’t feeling much better. They also had an extremely fast car that day, and to do what he did was crazy. 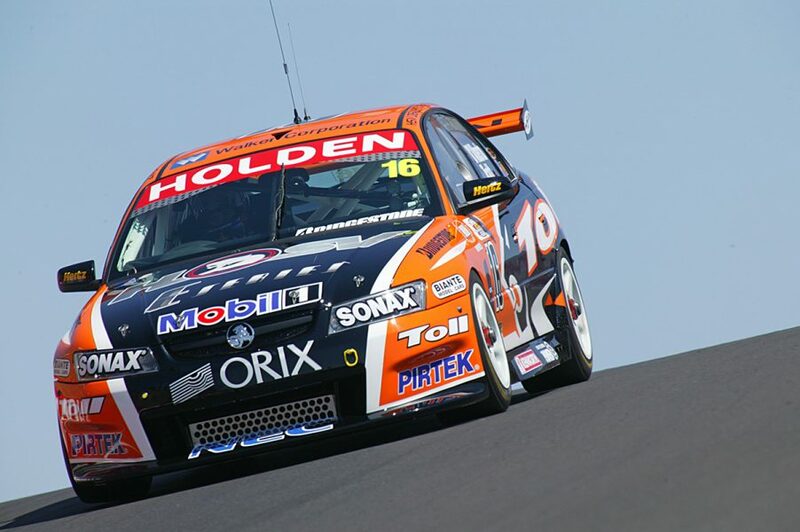 Bathurst, to anyone who drives a racecar, is the number one circuit. It’s such a great place. The atmosphere, the build-up, the race itself. It was enormous; I’m still paying for that today. I’d done a million laps around that place. I was on a really good lap, I was ahead on all of my sectors and I just dropped the left rear on the dirt and it bolted. I became a passenger very quickly. The sand trap wasn’t in the right place and I hit the wall full pelt. I think they worked out that I hit the wall with 22,000kg of force that hit the dirt mount. If you watch the slow motion replays, the rear wing delaminates and almost takes the head off a photographer. I was OK, but I got airlifted to the Alfred [Hospital]. My brain swelled up a little bit, but they let me out that night because I felt fine. I was back at the track the next day. I had to go see a neurosurgeon twice a week for a while after that to keep an eye on things. When you have incidents like that, you can get blood clots, but they don’t show until two or three weeks after the incident. I’d stretched my neck a little too, I felt fine, but [the neurosurgeon] said 'come see me in 10 years' time'. And he was right, it still gives me grief today. That was your last race as a full-time driver. You did the endurance races the following year with the Toll HSV Dealer Team, but did the incident contribute to your decision to retire? We were at the stage where were leasing cars from Larry and his cars were fantastic and his guys were first class, but I was a fourth car in the team. Really, he was probably one of the pioneers of running a four-car operation. We were looking at what we were going to do the following year and if we were going to take it to the next level, we really needed to invest heavily in our own thing or just not do it at all. At the end of the day, Toll wasn’t in the game of selling cars, it was a transport business, but as a marketing tool, it worked very well for Toll. It was time to move on. Paul and I had a chat. We thought that I could get out of it and do a season in Carrera Cup and move on. 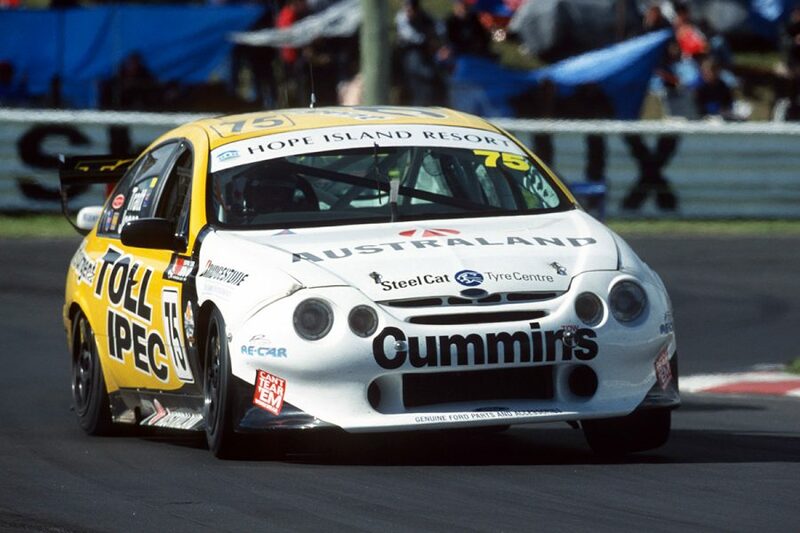 Toll wanted to continue with a certain investment in the sport so that’s where I did the deal with the HSV Dealer Team and I drove with them in the long-distance races. And they went on to win some championships too. Do you get time to watch much of the Supercars Championship these days? Since I retired, I’ve only been to a handful of races, but I do like to watch it on TV. For Bathurst, I get a few friends around, some ex-mechanics and racing mates, have a BBQ, a few beers and watch it on the big screen. After a couple of drinks and some banter, the stories can get quite tall … by the end of the day, you’d think you were Fangio! But yes, I still follow the racing and really enjoy the whole show.